- Compatible with all major FPV receivers from vendors such as Fatshark, ImmersionRC, etc. - Supports the standard 40-channel set: band A, B, E, Fatshark, and Raceband. - SmartAudio input allows remote control by the flight controller (where supported). Change channel, transmit power, and more from Betaflight OSD, flight controller USB port, Taranis Lua Script, and more. - All parameters art controllable via push-button on the side of the unit, for case where SmartAudio is not used. - LED Indicators of Channel, Band and Power. Allow easily check VTX Parameters by glancing at the quad. - Variable transmit power from 25 mW to 800 mW. Use 25 mW for a race and then easily switch to 800 mW for freestyle. - 0.5mW Ture Pit Mode allows you to power up safely without the risk of knocking other pilots out of the air. - Built-in Microphone, so you can listen to your motors while you fly, no matter how far away you fly. - Standard 36mm form factor allows you to mount the Atlatl directly in your flight controller stack. How to change the power and Channel? 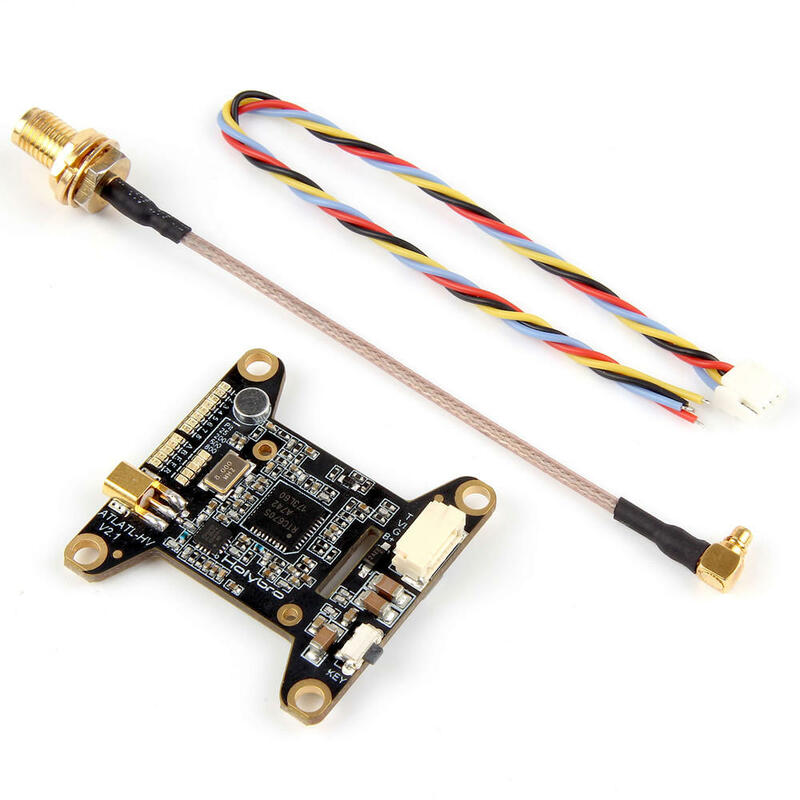 If you are using it with a Betaflight Flight Controller buit-in Betaflight OSD, you can manage the Atlatl's transmit power and Channel from within OSD. More details about operation steps, pls read the manual. The Atlatl is intended to be configured via Telemetry. If you can not use Telemetry, you can change Channels by using the Button buit-on the surface of VTX. The button is intended only as a fallback option for when Telemetry is not avaliable. It would be very tedious to use the button as the primary means of configuring the Atlatl. 1. Hold the button down for 2 Seconds to swtich from Telemetry Mode to Button Mode. 2.Then Press the button one time to change to the next channel. There is no separate " Band" and " Channel" function. The Atlatl will simply step through all 40 Channels that it support.